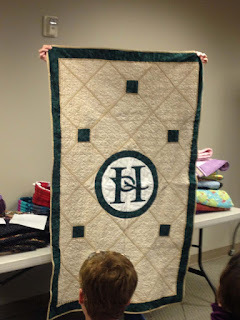 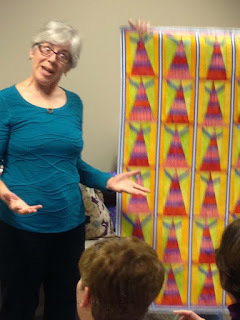 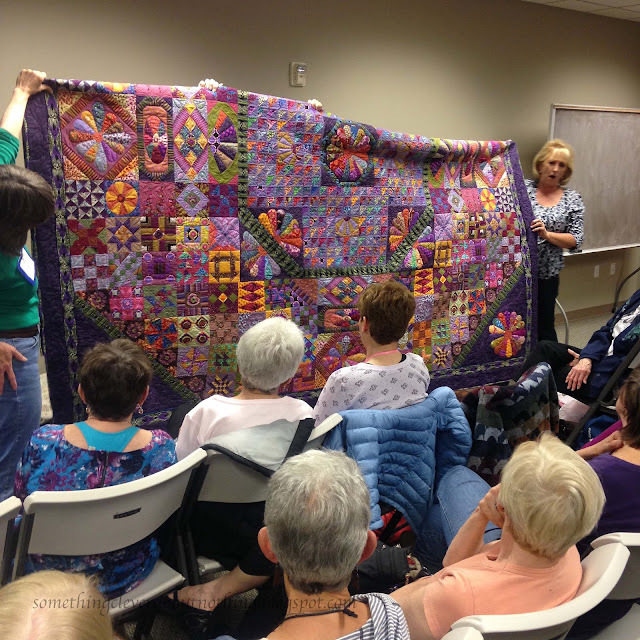 Another month of great inspiration at my local quilt guild meeting. 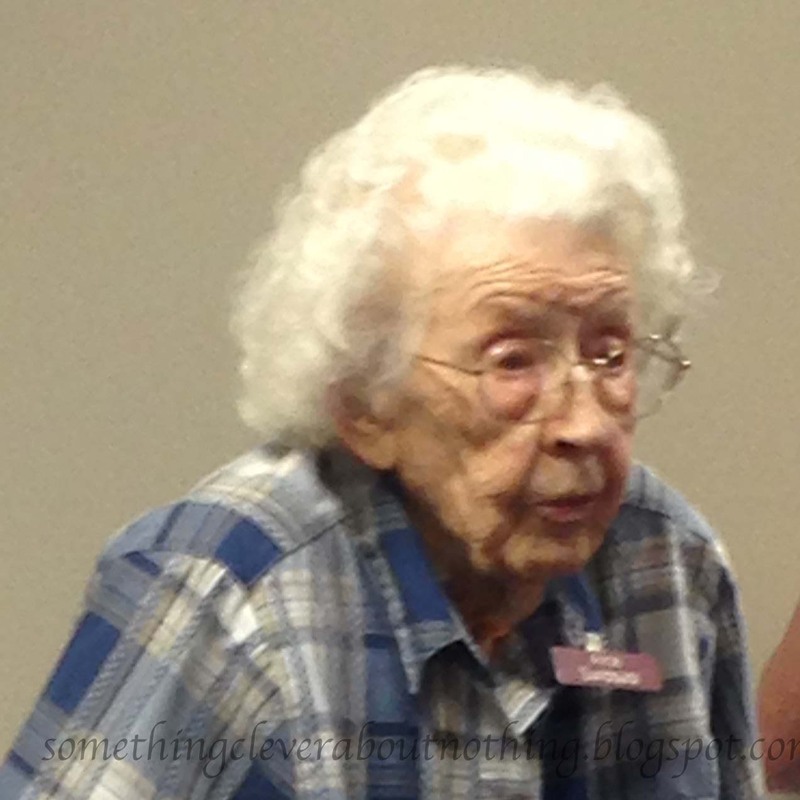 Florence completed another great UFO. 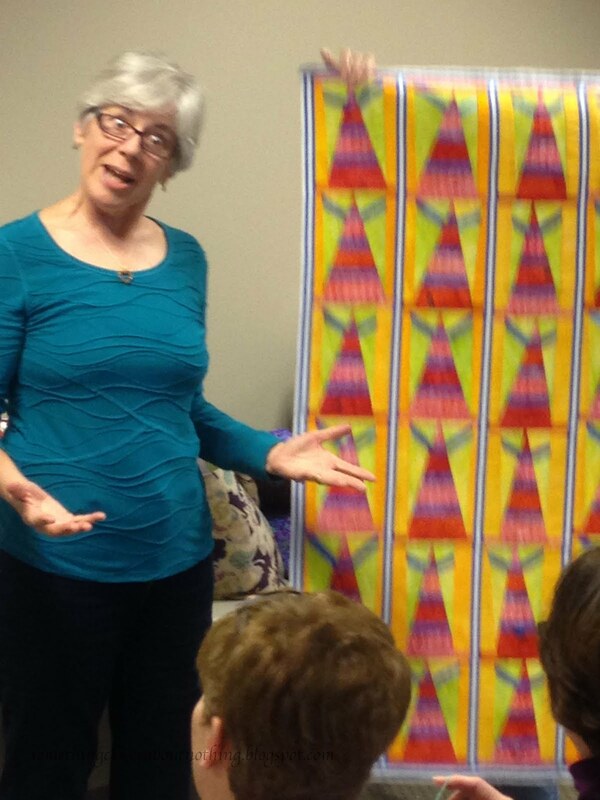 Anne shared that her daughter is pregnant with her first grandchild! This is a quilt Anne made with hand dyed fabric and fabric discharged after a layer of potato dextrine. 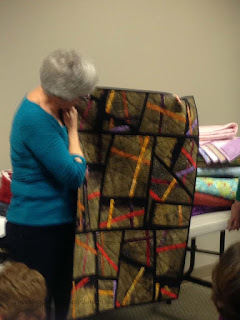 Helen's beautiful cathedral windows quilt. 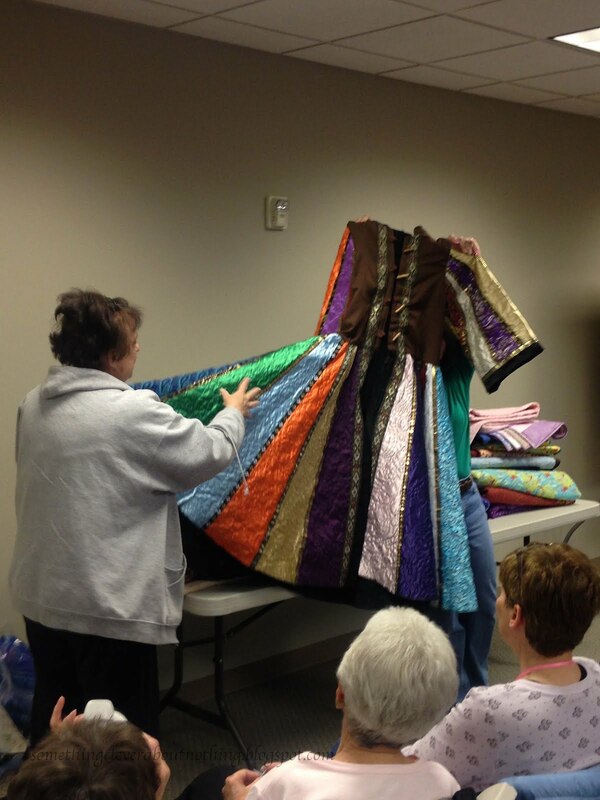 Ann made a fabulous coat for a middle school production of Joseph and The Technicolor Dream coat. 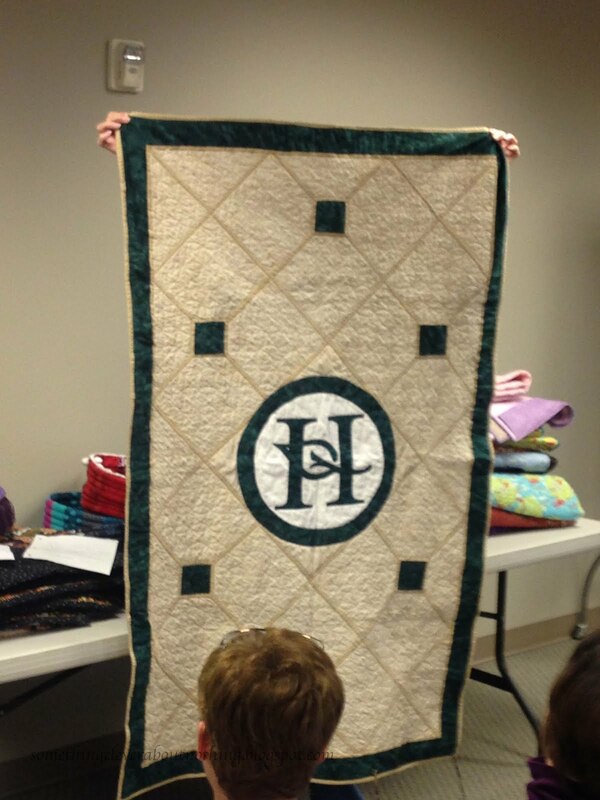 This is the logo of the city of Holladay. 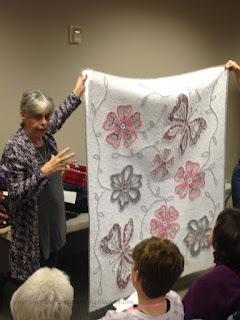 Nanette does beautiful faux chenille. Butterfly Garden is on it's way to France to be in a show! 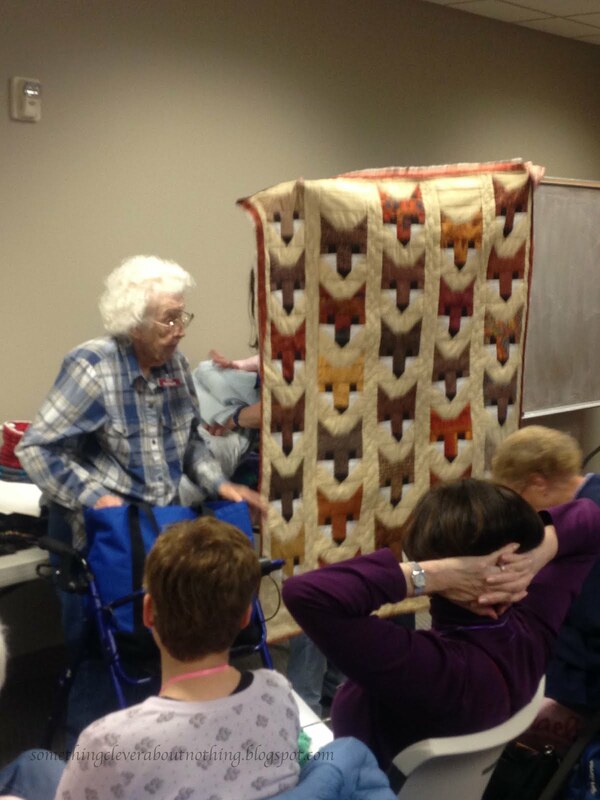 She is 99 years old and she quilts everyday. 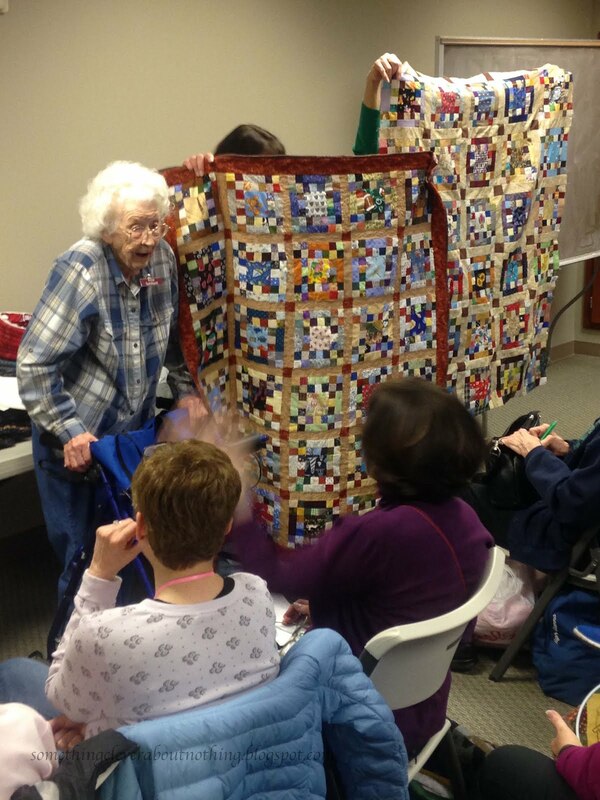 I want to be Alice when I grow up. 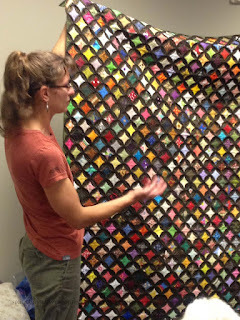 Look at all the beautiful quilts she makes and gives away. 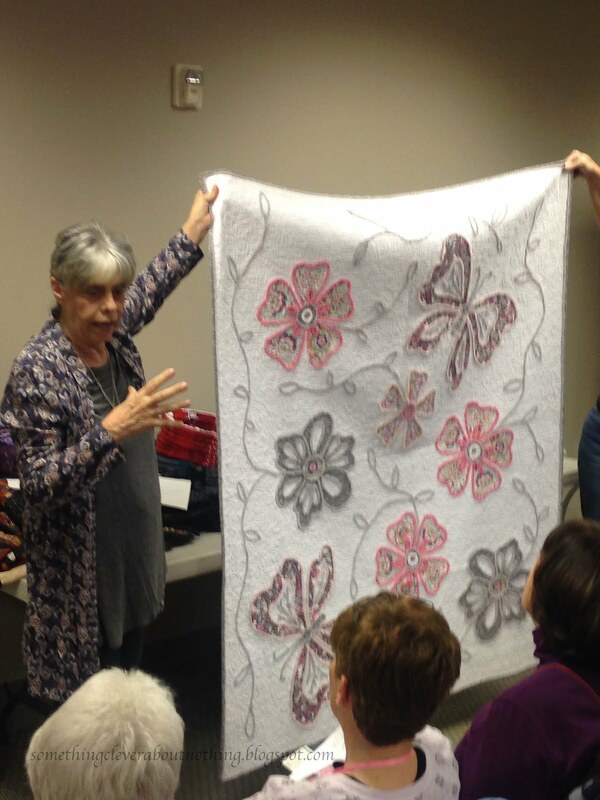 Our program for the evening was a trunk show from Cindy Hutchinson. 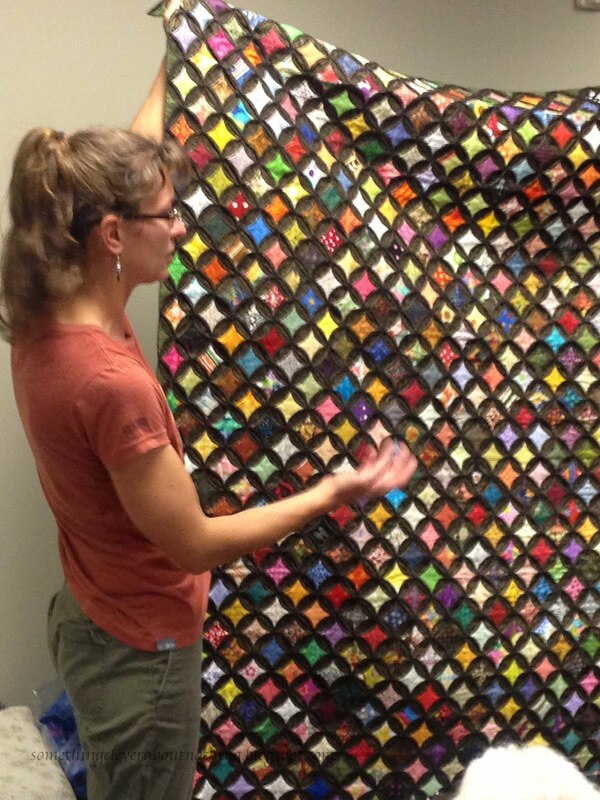 She makes beautiful, and very LARGE quilts. 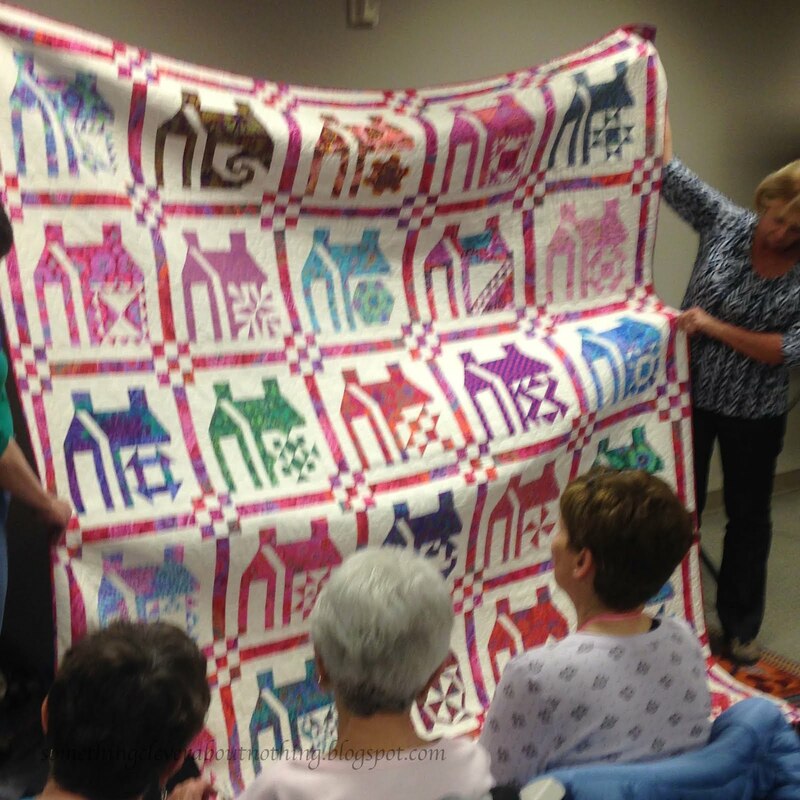 She had many beautiful quilts but one of my favorites was this house quilt. 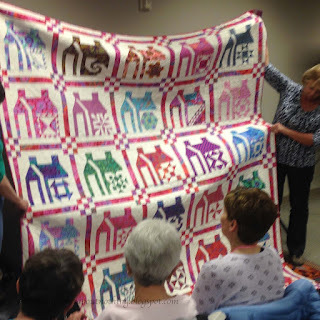 I like house quilts a lot lately. Love the Holiday group. Alice is an inspiration. 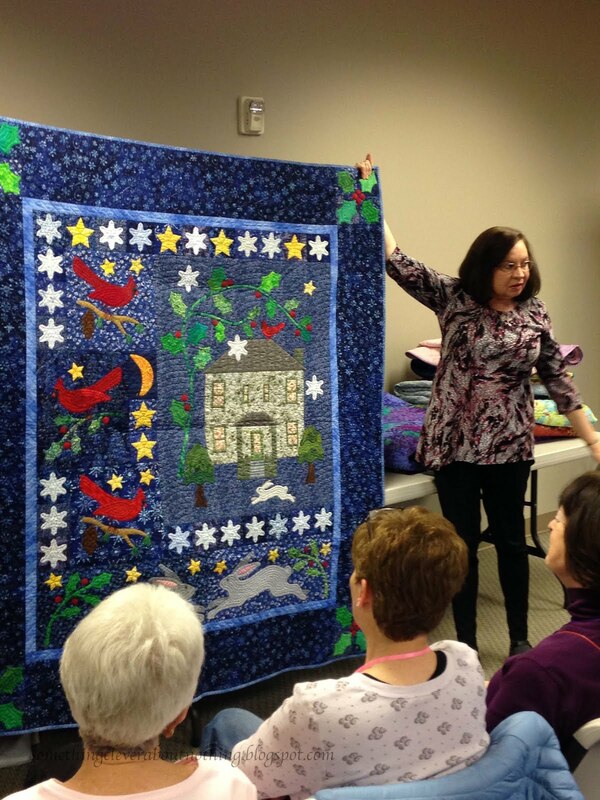 Cindy's quilts are truly stunning.